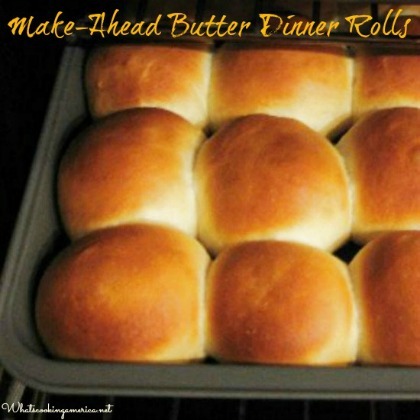 These Refrigerator Butter-Rich Dinner Rolls are my favorite dinner roll recipe to use for holiday dinners, especially Thanksgiving and Christmas dinner. Very easy to make ahead and bake at the last minutes. More great Bread Recipes, Sourdough Bread Recipes, and Quick Bread Recipe for all your bread making. Lightly grease baking pans, baking sheet, or muffin pans; set aside. Place all ingredient (in order given), except Egg Glaze, in bread pan of your bread machine. Process according to manufacturer's instructions for a dough setting. Do not be afraid to open the lid and check the dough. It should form a nice elastic ball. If you think the dough is too moist, add additional flour (a tablespoon at a time). The same is true if the dough is looking dry and gnarly. Add warm water (a tablespoon at a time). In a large bowl or in the bowl of a 5 quart stand mixer, combine all the ingredients in the order given except the Egg Glaze. Using a dough hook, mix all the ingredients together into a uniform dough. It should form a nice elastic ball. If you think the dough is too moist, add additional flour (a tablespoon at a time). The same is true if the dough is looking dry and gnarly. Add warm water (a tablespoon at a time). As you roll the dough balls, keep the rest of the dough balls covered with plastic wrap so they do not dry out. After shaping, place the dough balls, evenly spaced, onto the prepared greased pan; cover and let rise in a warm place (85 degrees), free from drafts, until double in bulk, about 1 hour. Makes approximately 13 to 16 rolls (depending on size). Place dough into a large well-greased bowl, turning dough to grease top. Cover bowl (with the dough in it) with plastic wrap and refrigerate at least 8 hours but no longer than 5 days. When ready to bake, remove dough from the refrigerator and shape into desired type of rolls and place onto prepared baking pan. Cover the baking pan with the prepared rolls with plastic wrap and let rise in a warn place (85 degrees F.), free from drafts, until double in bulk, approximately 1 hour. After dough has rested, shape the dough as desired. At this point, the rolls can be covered with plastic wrap and refrigerated overnight (I have actually made them two days in advance) or frozen for 1 month. Before baking, allow rolls to thaw completely and rise in a warm place if frozen. I have found that I have to take the unbaked frozen rolls out of the freezer 3 to 4 hours before planning to bake. I just put the frozen rolls (container and rolls) on my counter (not in the refrigerator) and let thaw and rise. You can also freeze shaped dinner rolls on a cookie sheet, and once frozen transfer to a plastic bag. this way you can bake up just the quantity you desire for dinner and not the entire batch. If refrigerated, they can be either baked upon removing from the refrigerator or let come to a room temperature (I have done both ways). They do a slow rise overnight and it is not necessary to let them come to room temperature before baking. Cover rolls and let rise in a warm place for approximately 45 to 60 minutes or until doubled in size (after rising, rolls should be touching each other and the sides of the pan). After rising and before baking, brush rolls with Egg Glaze. Convection Oven - Preheat convection oven to 350 degrees F. Bake in a convection oven approximately 15 to 20 minutes until they are a light golden brown. Remove from oven and let cool slightly. Serve warm or at room temperature. Regular Oven - Preheat oven to 375 degrees F. Bake in a regular oven approximately 20 to 25 minutes in a regular oven or until they are a light golden brown. Remove from oven and let cool slightly. Serve warm or at room temperature. 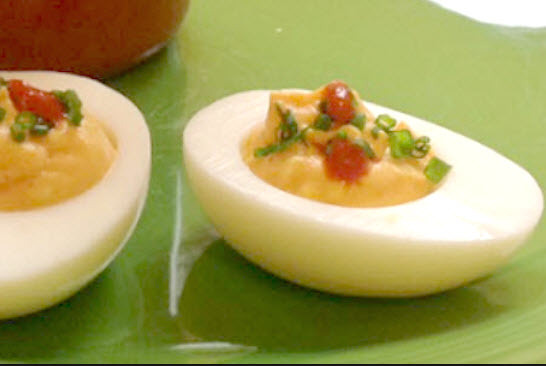 NOTE: This recipe is also excellent to use for sandwich or hamburger buns. If using a 1-pound bread machine, cut the recipe in half. ROUND ROLLS – After resting, shape the dough into 24 tight balls between the palm of your hands. NOTE: To make uniform rolls, weigh the dough into 2 ounces each. As you shape the rolls, stretch the top of the dough ball while simultaneously sealing the bottom. T his stretching helps the dough hold up to the expansion that occurs in the oven, and the sealing prevents the roll from opening up while baking. As you make each roll, transfer the roll to a non-sticking baking sheet (sealed side down). I want to make this for Thanksgiving, however, it is quite cold in my house and the butter is not really “soft.” There is a difference between “soft” and “melted” butter. If I warm/melt the butter with the milk and add it, will that yield the same result? I fear as solid as the butter is now I will have pie crust and not bread dough! Please advise, thank you! Melted butter will not produce the same result and softened butter when baking. I trick I use to soften butter quickly is to microwave for only 10 seconds. If it’s still too hard try additional 5 second increments in the microwave.